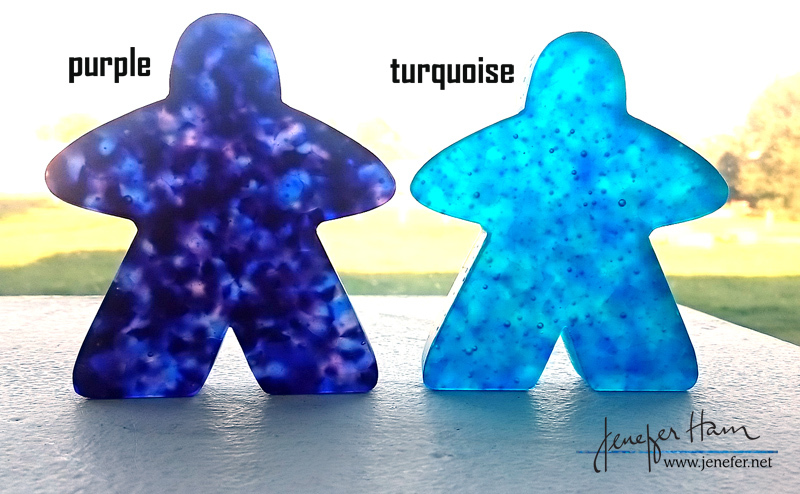 News Flash: my super duper MEGA meeples will be on special during the show, 20% off, so if you’ve been hankering after a really amazing statement piece, now is the time =). 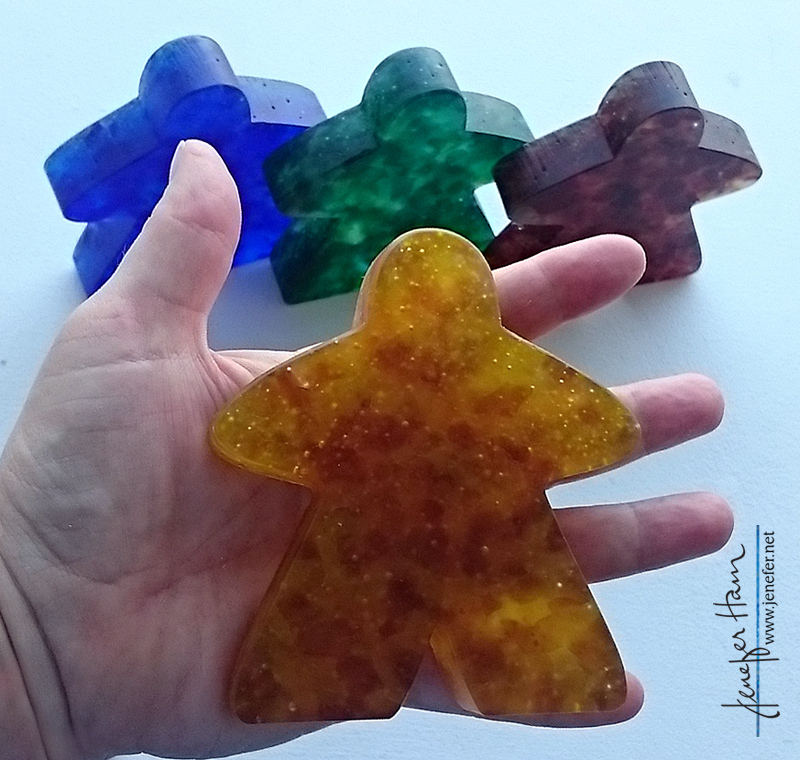 For those not attending UKGE, you can use this code MEGAMEEPLE when you check out from my ETSY shop starting on June 1, and ending at midnight GMT on June 3). I’ve just put up some new photos, so check them out! red, blue, yellow, green…and purple & turquoise too! 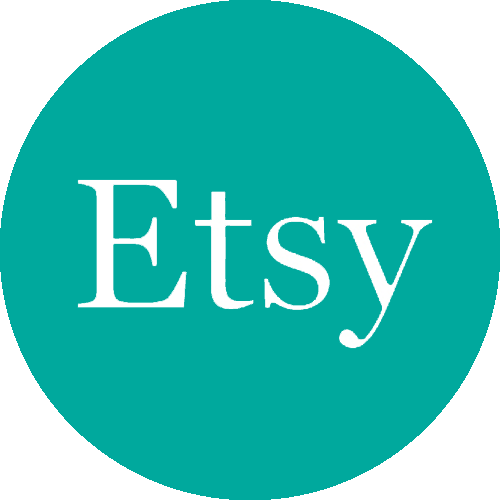 Also, I am still heading dangerously toward crazy-cat-lady status, so there will be specials on the MEOW Markers, FAB Feline necklaces, COOL CAT marker/necklaces, and PRETTY KITTY brooches at the show. Additionally, I’ll have some smaller fused glass items that are not meepley <gasp>.